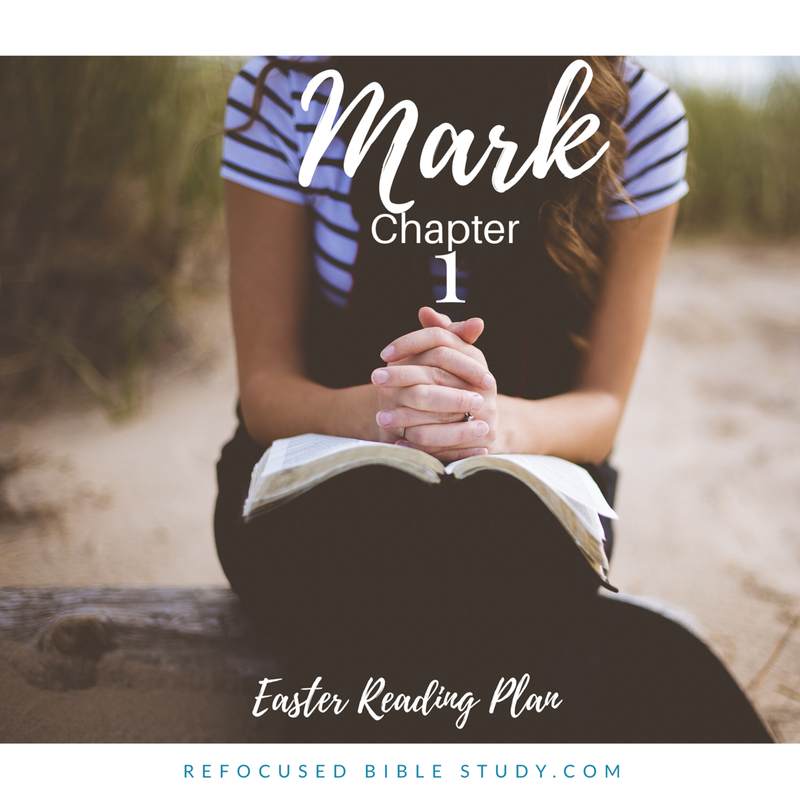 It’s day one of the series “Mark, a chapter a day for Easter” here at Refocused Bible Study. If you missed the details, you can find them here. Whatever way you came across this post, I’m glad you are here and I pray you’ll join us! There is so much good stuff in every chapter, it is hard to pick one verse to focus in on! However, this one about Jesus going off to pray by himself made me fall in love with him all over again. Jesus was fully God and fully man, yet still went off by himself to intentionally cultivate a connection with the Father through prayer. Did he do this to model spiritual discipline for us? Did he do this because HE LOVED THE FATHER AND WANTED TIME ALONE WITH HIM? The day before, Jesus had been healing people and casting out evil spirits. Ministry was busy. He knew another busy day of serving and healing was ahead of him. So he got up while it was still dark to go spend this time one on one with his heavenly father. If Jesus did this, how much more do we need to do this? He was one with The Father, and yet he still carved out time from the rest of the day to go and talk to him one on one. Do you know what I’ve been telling myself instead of waking up early to spend time with The Father? YOU NEED SLEEP, AND THE LORD KNOWS IT. YOU CAN PRAY LATER DURING THE DAY. But, ladies, how I’ve been missing this time with Him! Time alone with God in the morning just cannot be replaced. There is nothing like it. Plus, it’s easy to see that Jesus sacrificed sleep to go and be alone with God, even in the thick of a very busy few days of ministry. During the days leading up to Easter, let’s follow Jesus’ example and set our alarms just 30 minutes earlier. Let’s go and pray to Him and see how it changes our hearts and our days.